Taking a close-up of fruit on a tree in direct light creates some pretty harsh shadows. 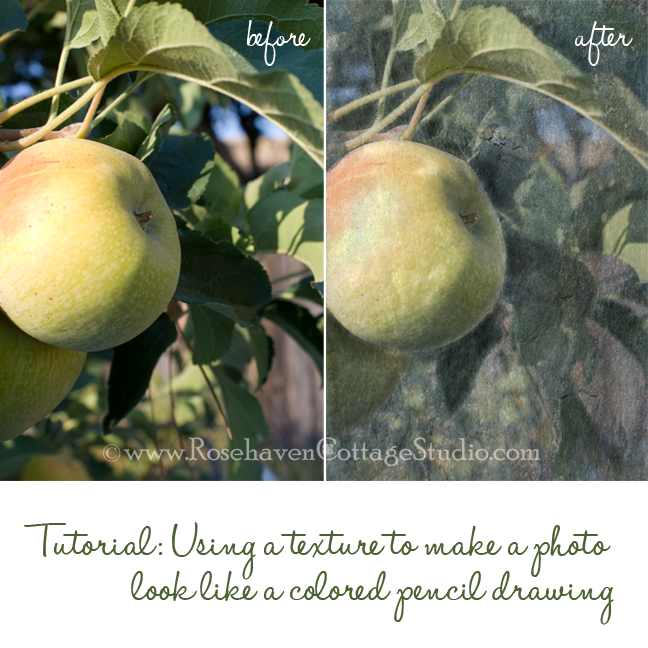 But you can make that kind of photo work for you by turning it into a piece of art that looks like a colored pencil drawing. I open the photo in Photoshop. I use CS3 but this will also work in Photoshop Elements and other versions (you can also use this method in other software programs that allow you to work with layers). 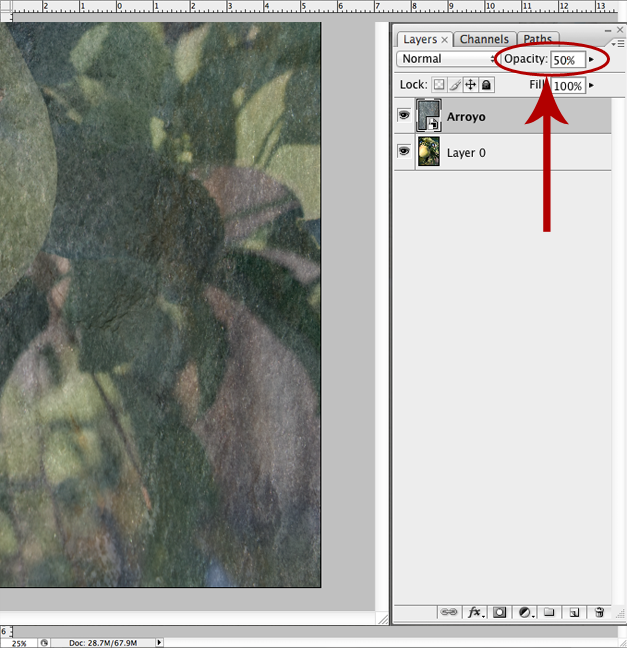 When I open the photo in CS3, the photo is the first layer in the file (sometimes it's named "Background"). 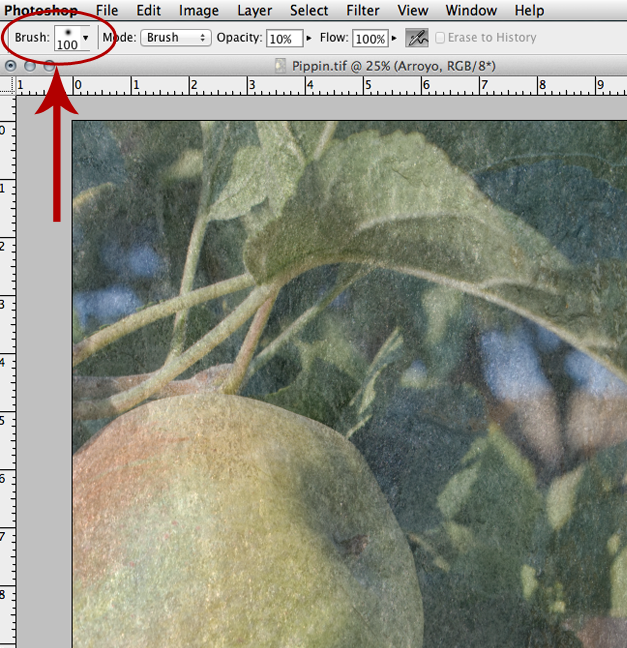 Using the "Place" command (under the "File" menu), I place a texture file as a new layer. 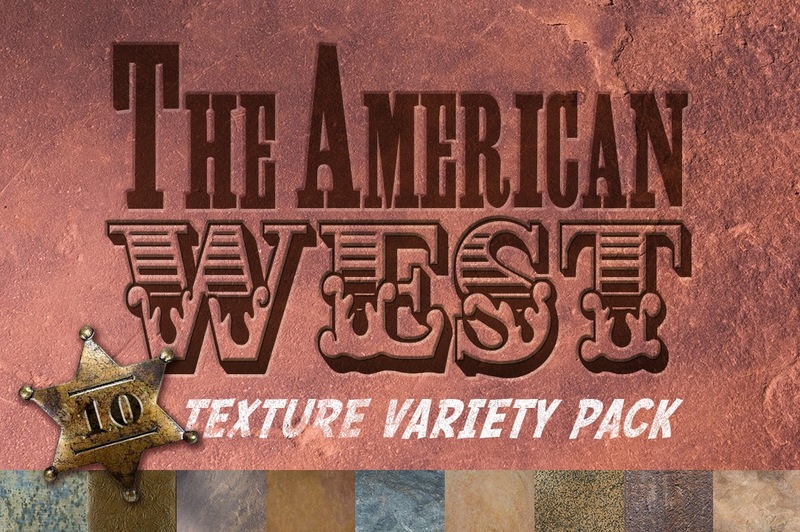 In this case, I placed my texture "Arroyo" from The American West texture variety pack (available by clicking below). When I first place the texture it may not be the same size as the photo. 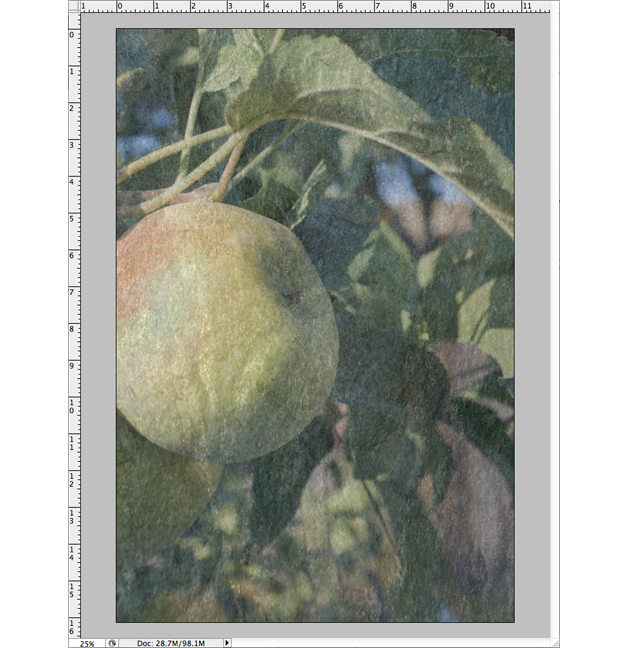 The next step is to make the texture layer slightly transparent so you can see the photo through it and get the effect of the texture overlaid onto with the original photo. 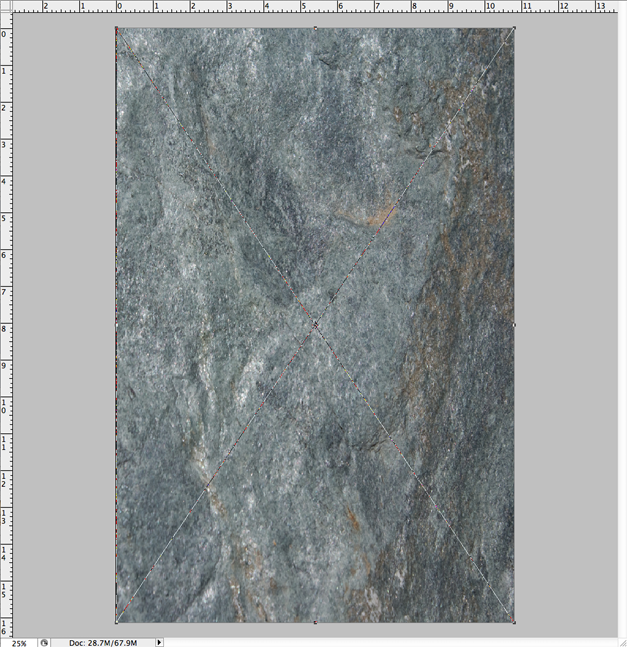 In this case, with the texture layer selected I went to the "Layers" menu (in CS3 you can see it in the right hand side of your workspace) and changed the opacity to 50%. 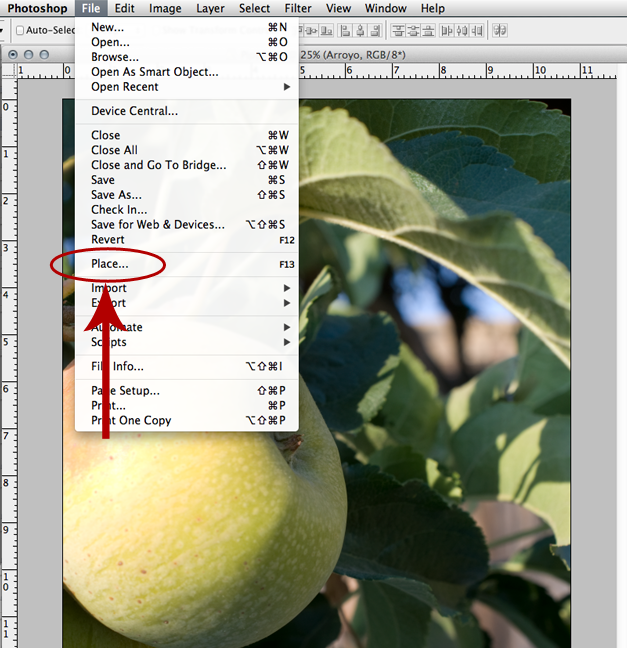 You can experiment by sliding the opacity up or down to find the right fit for your photo. Remember, nothing is permanent and you aren't changing the original photo at all. 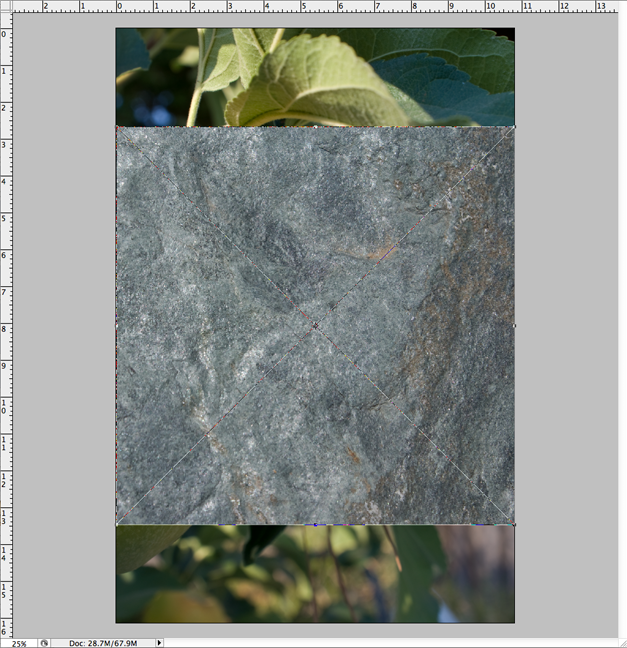 I liked the 50% for this texture and photo pairing. It gave me enough texture to but let the details of the photo show through (this is why a photo with harsh shadows works really well with this technique). At this point, I could actually leave the photo the way it is, save it, and I'm done. But I like to tweak things a bit more after this step by accentuating certain elements in the photograph that I can only determine by hand. 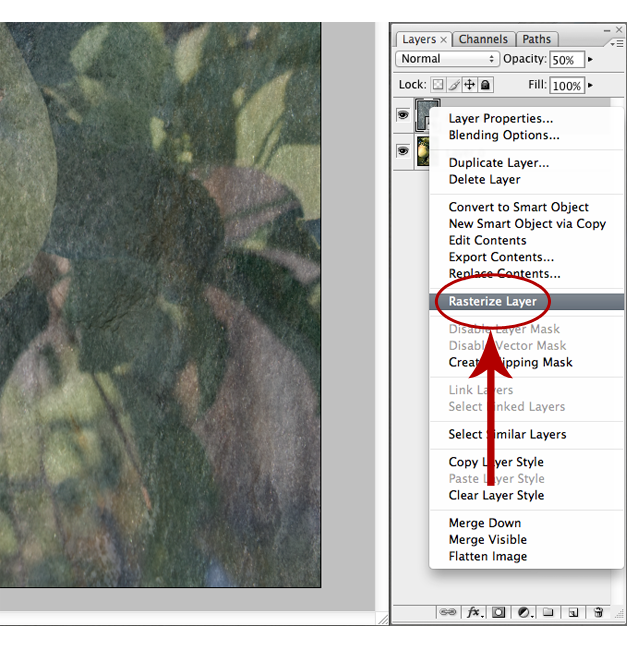 To do that, I first have to turn the texture layer from an uneditable "smart object" into something I can edit with all my Photoshop tools (if you're using a different program that let you place the texture as an editable object on top of the photo then you don't have to do this step). 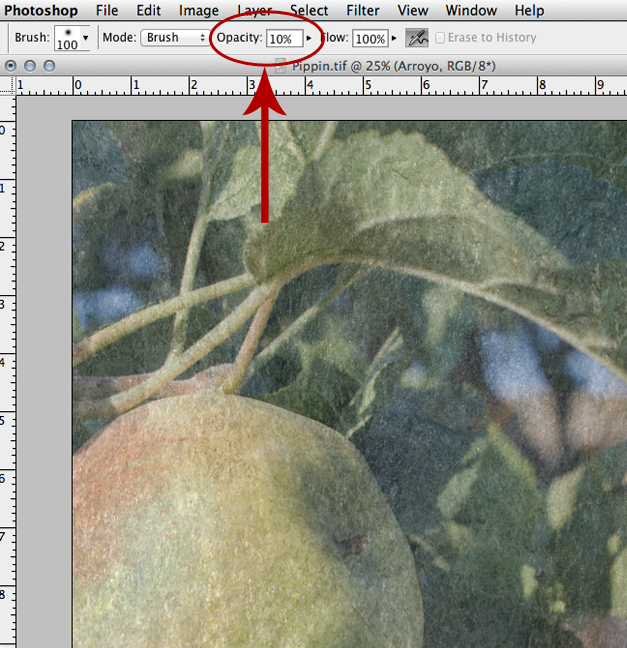 So I rasterize the texture layer by right clicking on the texture layer in my Layers panel. 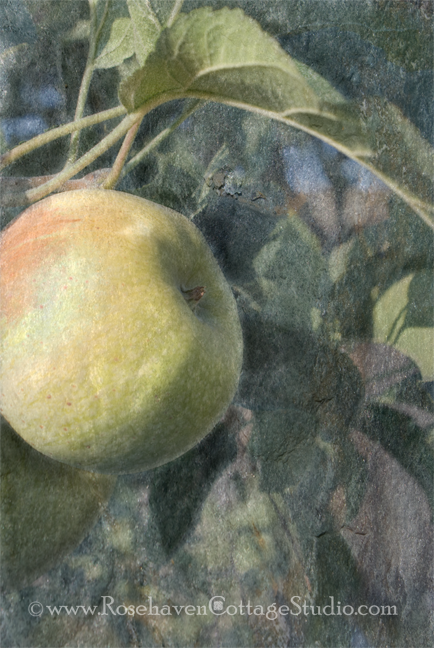 Then with the texture layer selected, I start strategically erasing certain shadows around the center of the bottom of the apple to bring out the details of. I use a digital tablet and stylus so it feels like I'm "drawing", but you can do the same thing with your mouse. Gentle strokes from the darkest shadows out toward the lighter areas mimic brush or pencil strokes. 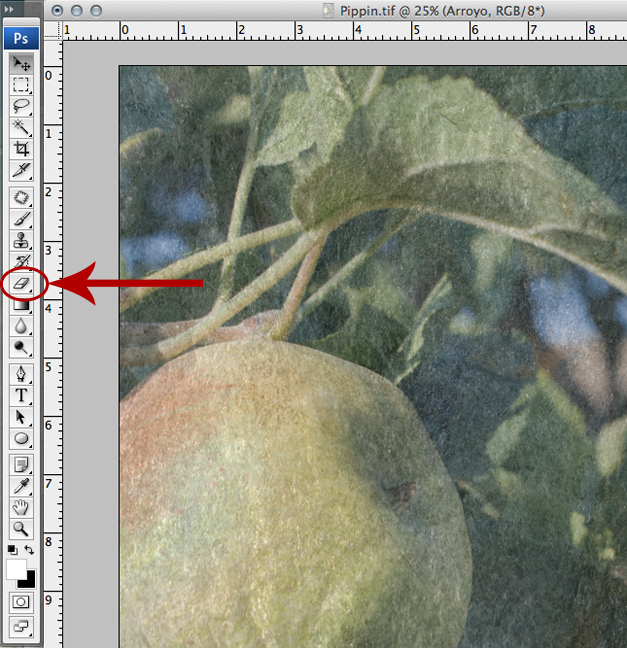 With the opacity set very low I only take away a little at bit at a time and feather out from the darker shadows. I only erase just a little here and there to draw out some of the detail in the focal points of the photo. The reason I'm doing this is I'm mimicking how colored pencil would look on paper. The areas with shadows would get more colored pencil on them so the paper wouldn't show through as much as the lighter areas that barely have any colored pencil on them. For areas of really white highlights where you'd use a white pencil to define them if you were drawing, the same holds true because the white pencil would mask the texture of the paper. As always don't hesitate to ask me questions in your comments. or privately if you have an email address connected to your comment.